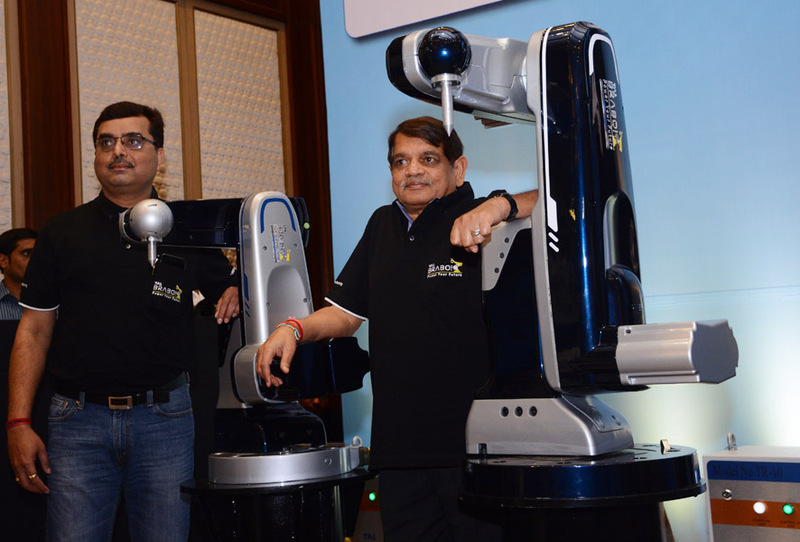 TAL Manufacturing Solutions, a subsidiary of Tata Motors Ltd., has launched its much-awaited TAL Brabo robot in two variants, with payloads of 2 kilos and 10 kilos, priced between Rs. 5 – 7 lakhs. Indigenously developed, the TAL Brabo is a ‘Made in India’ solution, developed to cater to micro, small and medium enterprises, as well as for large scale manufacturers who require cost competitive automated solutions in manufacturing. Designed and styled in-house at TAL Manufacturing and Tata Elxsi respectively, Tata AutoComp manufactured some of the critical components of the robot. Conceptualised to complement human workforce and perform repetitive, high volume, dangerous and time consuming tasks, the TAL Brabo robot, can be deployed across industries. Having successfully tested the TAL Brabo in over 50 customer work streams so far, TAL Manufacturing is ready to supply these robots to several sectors including Automotive, Light Engineering, Precision Machining, Electronics, Software Testing, Plastics, Logistics, Education, Aerospace and Engineering among others, simplifying industrial manufacturing, improving quality and productivity. The TAL Brabo is an innovative new concept, developed from an industrial user perspective to automate enterprises. Designed indigenously the TAL Brabo can be used to bring in efficiencies right from raw material handling, until packaging of finished products, and can be programmed to operate 24/7 in all situations, for continuous production, with a high degree of flexibility and even perform complex functions cost effectively. The TAL Brabo can be used for varied applications for tasks like pick & placement of materials, assembly of parts, machine & press tending, as a sealing application, camera and vision-based jobs, etc. The TAL Brabo can also complement human workforce by taking over dull, dangerous and monotonous jobs. The TAL Brabo complies with essential requirements relevant to European health, safety and environmental legislation, permitting export of the robot to customers in Europe. TAL Manufacturing is also developing the all-important IP certification for the TAL Brabo robot, which will represent a degree of protection provided against the entry of foreign objects, especially water in the machine. This will give customers further more opportunities to deploy robots at their workplace, for different kinds of applications. The current list of TAL Brabo customers include Mahindra & Mahindra, Diebold, CPG Industries, Hydromatik, SGK Industries, BITS Dubai Campus, Suparna Plastics, Micromax Systems, Twin Engineers, AM Ecosystems Kaziranga University and TATA Motors Ltd.